I stumbled upon this interesting website Moments ago! It has various products and services that I Have much Fascination for. Watch the video, and click on the link below to browse the store. I Am subscribed to a newsletter title “Infinite Being” by Owen Waters. Today I Received a Simple and Easy technique to find Solutions to any problem You may Be challenging. Step 4. The first idea that pops into your head is the answer. If a second idea follows, ignore it. Itâ€™s the first one that counts. it is a brain response when presented with two slightly different tonal changes in a stereo situation. When a person is presented with the two different tones – the brain produces a response (binaural beat) that produces an altered state in brainwaves and therefore a hypnotic trance or super learning type environment. The cool thing about this technology is it Can Help You in various ways from Meditation, Relaxation, Sleeping, Creativity… this list goes on. There are many different companies out there that sell this technology, and most of them are Good. However, You Can also find some that offer it for Free as well. Click on the link below to test it for YourSelf! 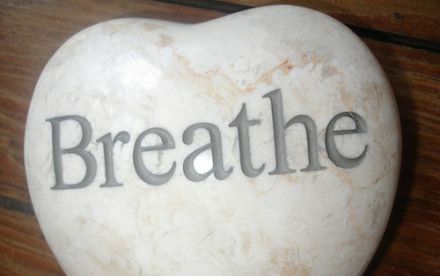 To Be Honest, I Have known about proper Breathing techniques for some time now, I just did not realize it was Good for Creating and Shaping a Healthy body!